Bill Clanton is a Jersey native, Graduate of Southern Regional High School and Ocean County College. Bill is also an A+ and N+ computer specialist in the field of network design and computer repair. 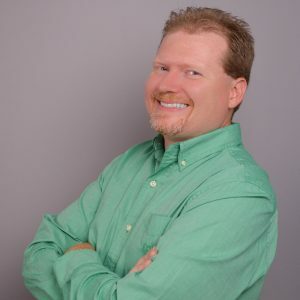 Throughout his career, Bill Clanton has spent over 20 years in the marketing industry covering radio, video and internet marketing. From his early days as a radio commercial copywriter writing commercials for hundreds of Jersey Shore business to his current endeavors in the field of video marketing for small businesses Bill has always looked for the most innovative ways of getting a marketing message heard. Bill is also the President and CEO of WWN Educational Radio Corp the parent company of WBNJ 91.9 FM as well as owner of WWN Interactive a web content development company serving small businesses in New Jersey. Now as the founder of “Video on Main” a new video content channel and studio for hire, Bill hopes to help businesses flourish in the new interactive landscape of Facebook Live, Youtube Live and Periscope Live video marketing. Bill is the author of the book, “Employee to Entrepreneur: Five Days That Changed My Life,” in which Bill shares his journey from working the 9-5 job to now being the master of his financial future. In addition, Bill is the creator of Coloring for Life Coloring Books through which he uses his artistic talents to draw fun easy to color adult coloring books. Find all of Bill’s books on Amazon or by clicking here.